For a number of years I dreamed about one day hosting an event for young women. I felt in my heart that it would happen, I just didn’t know when. I also really wanted the event to be fresh, sparkly and fun and feature talks and workshops that aimed to inspire. I have always desired to empower others – I guess it’s a part of my DNA, and so I always dreamed that the event would do exactly that. On Saturday 9th March 2019 my dream came true and it was called Let’s Flamingle. So how did the event come about? 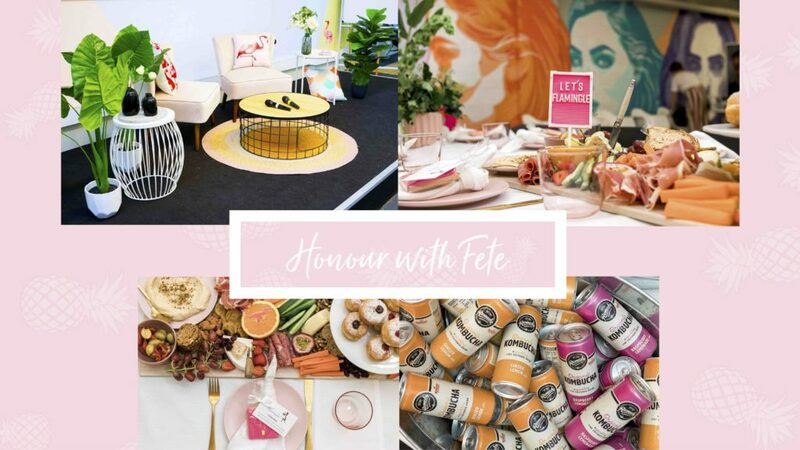 Well it all started back in August 2018 when I met Luisa Hocking from Honour With Fete Pop-Up Picnics. She was helping a friend manage a stall at Business Chicks‘ 9 To Thrive in Melbourne. 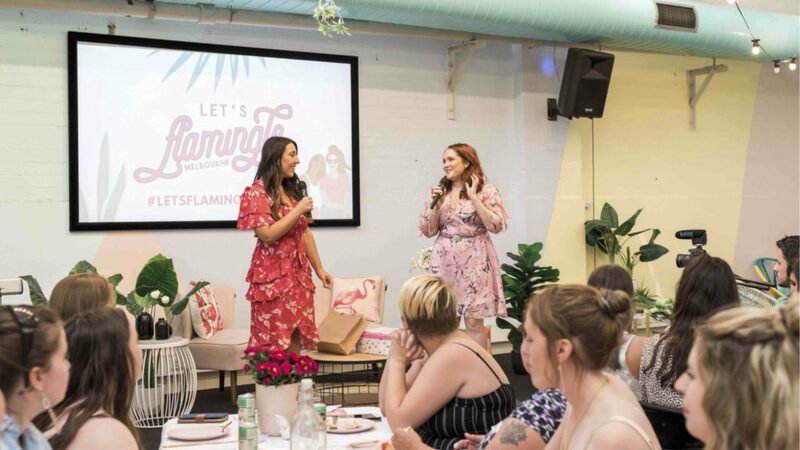 Shortly after introducing ourselves, we realised we had a lot in common, including our mutual desire to create an event that brings young women together in a beautiful setting. So after cross-checking our calendars we saw we both had the 9th March 2019 free, and with International Women’s Day the day before, we knew it was the perfect choice. After loads of planning, extra long work days and a stack of high-five moments, the day finally arrived and we sold out! Woohoo! We had 60 amazing young women, teenage girls, mum and daughter duos and super-talented entrepreneurs and influencers in one space. It was such a gorgeous venue run by a beautiful team of fearless women. If you’d like to check it out, it’s called One Roof and it’s in Southbank, Melbourne. 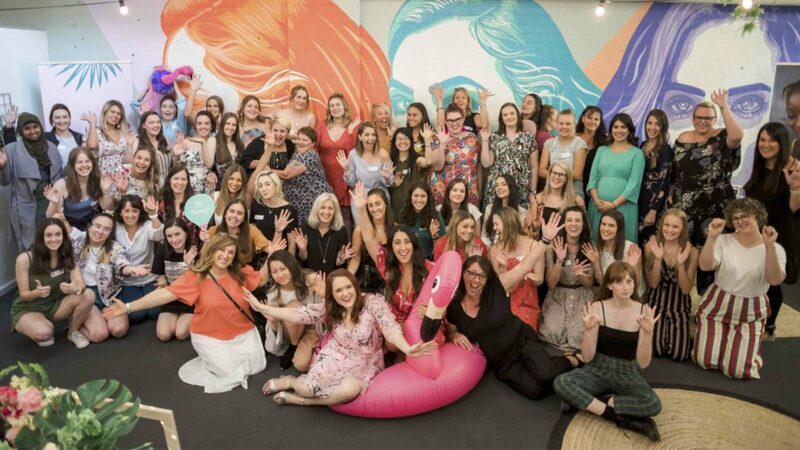 Out of the 60 women in attendance, I am so pleased to say that 20 of them were sponsored to attend thanks to the incredible generosity of some wonderful humans. These amazing girls are involved in charities such as Bridge Builders Youth Organisation (where I am a Board Member), Little Dreamers and Fitzroy High School’s Feminist Collective group. 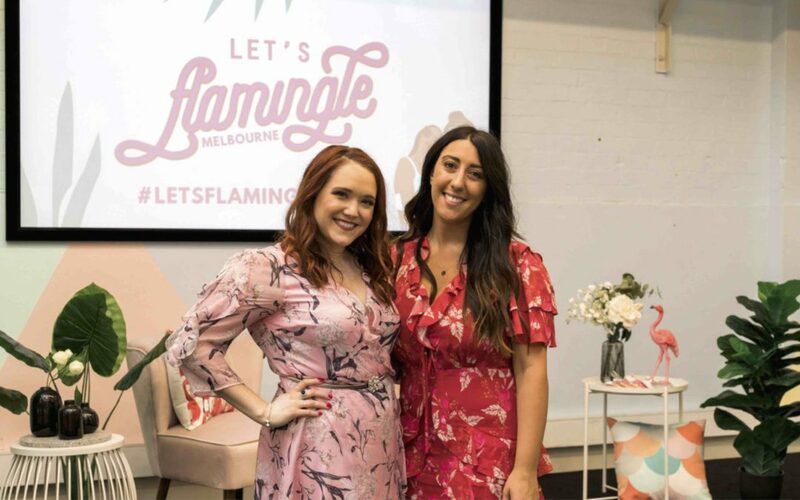 Let’s Flamingle was a non-profit event with $5 from every ticket sold being donated to Melbourne-based charity, One Girl. With a full house, we were thrilled we were able to donate $300 to this wonderful charity, changing the lives of young women in Sierra Leone and Uganda. 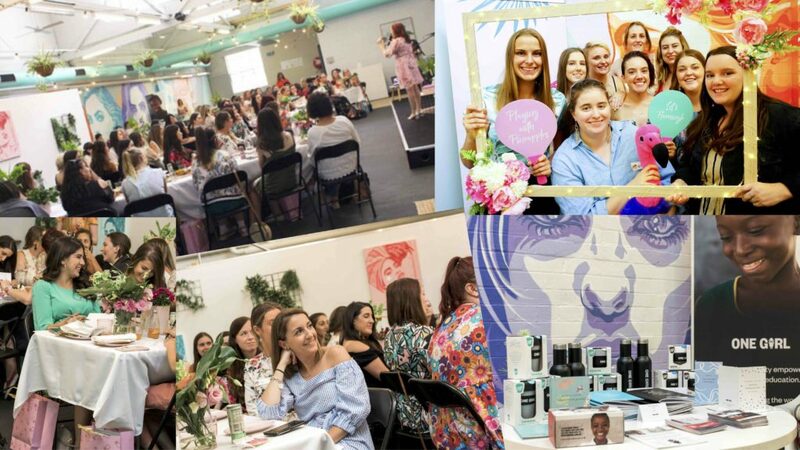 Thanks to some awesome local businesswomen, we gave away over $1000 worth of prizes and each of the 60 attendees went home with over $80 worth of products and special offers including a gorgeous necklace by Sister & Soul. Incredibly generous of them! 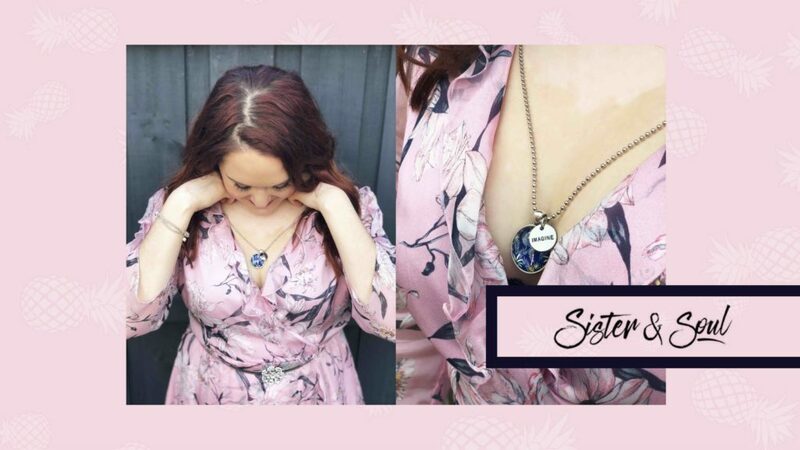 Sister & Soul are a wonderful Aussie business who create jewellery and apparel with a positive message. I am so proud to be their brand ambassador. On the day, Luisa and her incredible team at Honour With Fete styled the venue with beautiful floral arrangements, and prepared such a delicious spread of food on their iconic grazing boards. Thanks to Kiki Sprinkles, we even had a series of custom-made Let’s Flamingle cake toppers! Our stage generously styled by the lovely people at Krash Home. Remedy Kombucha kindly donated a whole lot of drinks, keeping everybody super hydrated. And for all those who have a bit of a sweet tooth, my beautiful friend Jo from Cookie Ready also donated 60 customised cookies feat. the words ‘Let’s Flamingle’. They were so yummy! 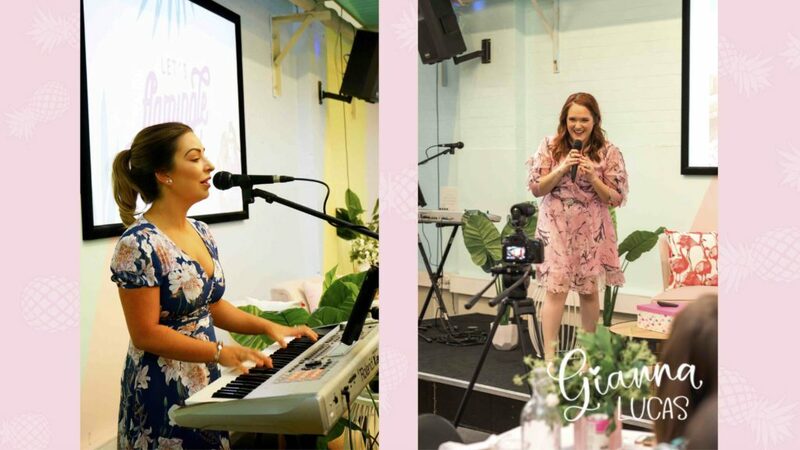 Luisa and I hosted the event, which was SO much fun and we were so lucky to have musician and singer-song-writer, Alyssa Agius play some tunes for us all on the day. I also presented a talk covering some of my fave topics including confidence, self-love and relationships. The talk addressed my own story but also highlighted some lessons learnt after watching Isn’t It Romantic, a brand new rom-com on Netflix featuring a brilliant cast including Australia’s own Rebel Wilson and Liam Hemsworth. After my talk, the beautiful Lisa from Fox + Heart ran a calligraphy workshop and at the end of the session, each girl created their own affirmation for the year ahead which we then had framed for them so that they could display it somewhere prominent at home, so they remember to ‘Dream big’ every day. 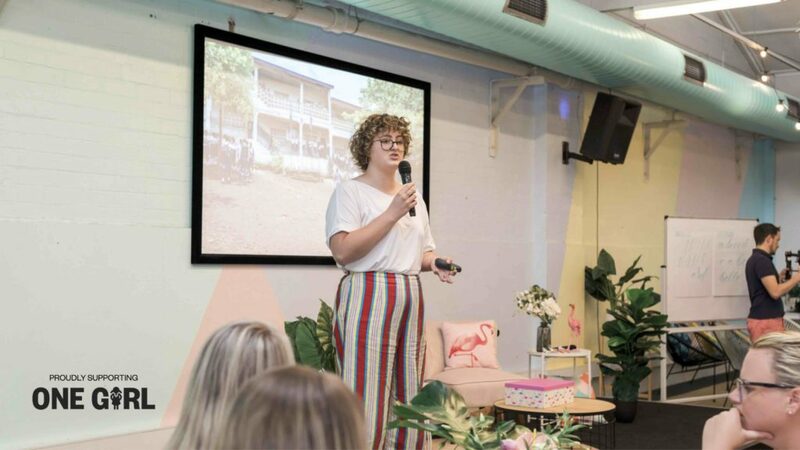 After Lisa’s workshop, Bec Yandell, Community Engagement Manager from Melbourne-based charity One Girl ran a talk on the importance of looking outward to support those in need, whilst drawing on the organisation’s mission in delivering quality education opportunities for young women in Sierra Leone and Uganda. On the day there was loads of ‘flamingling’, lots of newly formed friendships and there was also a lot of photos taken especially in front of our photo wall. The venue was filled with such a beautiful energy and at the end of the day, everybody left feeling uplifted and inspired. Putting on an event isn’t a walk in a park, especially when putting one together for the first time. It’s a huge project but if you’re passionate about the cause, believe in its mission and of course have a clear vision of what you’d love it to look like, then go for it! Make it happen because it is so worth the effort. Let’s Flamingle turned out to be everything and more. 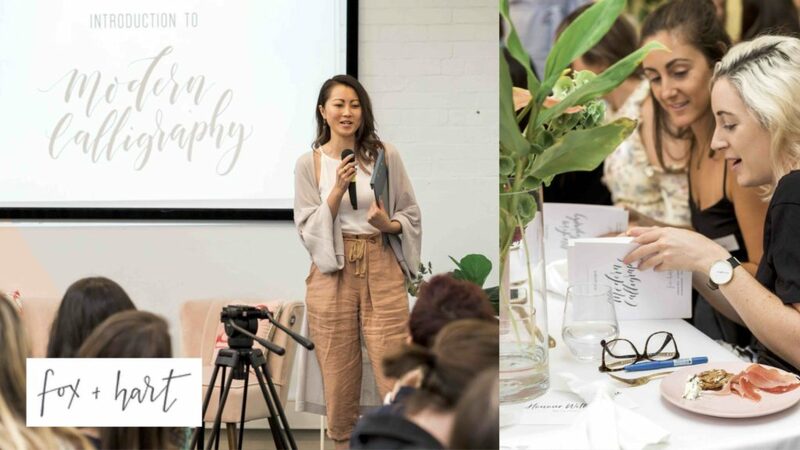 A huge thank you to everybody involved including Luisa and her team from Honour With Fete, my family, our event sponsors, June Yen from Lov Photography and Carissa Shale from The Carissa Collective for your beautiful photography on the day. If you’ve got a dream, be encouraged to know that you can make it happen. 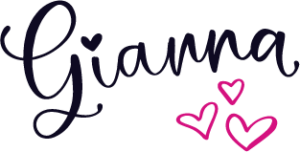 If you’d love to find out when my next event is, simply head to my Events page. Interest in one of my workshops? You can read all about them here.